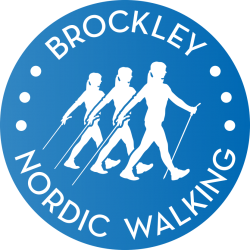 Welcome to Brockley Nordic Walking! London’s many parks and urban pavements offer great opportunities for Nordic Walking in and around the city. Nordic Walking can be done anywhere; there is no need for hills, country paths or even snow! Nordic Walking is a fun, sociable way to exercise outdoors, and is accessible to walkers of all ages and fitness levels. Poles are provided by the instructor, so there is no need for expensive equipment or clothing. goal – Nordic Walking is suitable, effective and enjoyable. The poles help to propel the walker along – this means that although they are moving faster and working harder than usual, the support given by the poles makes it feel easier! It can be done anywhere – no need for hills, country paths or even snow! No need to wear special exercise clothing, only good comfortable footwear required! It is very sociable; participants can chat as they go! Nordic Walking is a specific fitness technique and is not to be confused with trekking, hill walking or trail running as the poles are not planted in front of the walker but in a way that increases the use of the upper body. Nordic Walking technique must be learnt correctly if the walker is to get the most out of the activity. Nordic Walking was developed in the 1960s as a summer training method for very fit competitive cross country skiers in Finland who started to use poles in their training when there was no snow. They soon realised the technique was a perfect training aid that kept their heart and lungs in top condition, and ensured upper and lower body muscles remained in top shape off-season. Nordic Walking quickly became a popular fitness method for the general public too, and has a great following across Scandinavia, mainland Europe, North America and as far away as in Japan! It is fast gaining popularity in the UK and London too! 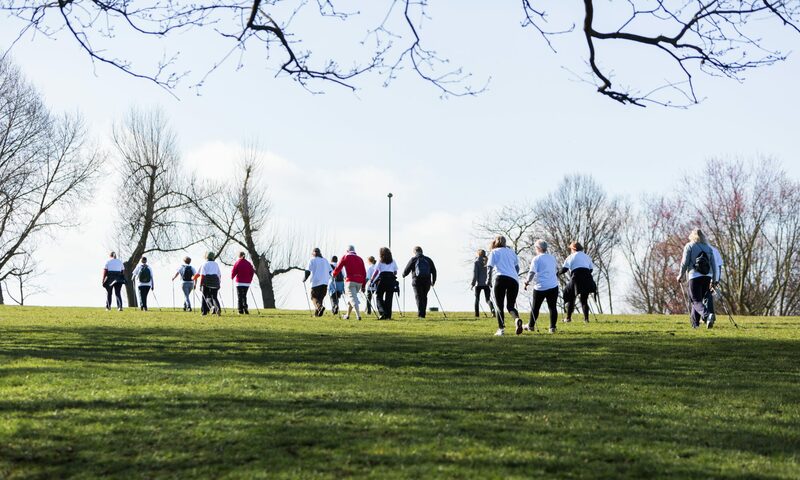 These 2-week courses are aimed at 18+ women and men who are already physically active and wish to learn the safe and effective Nordic Walking technique to improve their fitness & to complement an existing fitness regime. You will learn the safe & effective basic Nordic Walking technique to turn a walk into a workout, explore the progressive technique to get 95% of your skeletal muscles working, and can try out a bit of Nordic Running & Skipping too! Places are limited to 6 to allow for more individual tuition. No equipment is required as poles are provided. The course runs at Hilly Fields Park in Brockley, Lewisham. Course fee £45. More courses are planned for summer 2019. Dates TBC. These free 4-week courses are part of the Lewisham Healthy Walks scheme and BeInspired programme, and are funded by Lewisham Council and managed by the Greenwich Co-operative Development Agency (GCDA). You will learn the safe & effective basic Nordic Walking technique which will turn a walk in a park into a gentle and enjoyable workout for the whole body. These courses are aimed at physically inactive adults (18+) who reside in Lewisham and who do not currently take part in any regular exercise due to health or economic reasons. Participants must be able to attend at least three out of the four consecutive sessions offered, and must not miss the first two sessions of the course as these are vital for learning the foundations of the safe and effective Nordic Walking technique. The course runs at Ladywell Fields Park in Lewisham. Places are limited to 12 & booking is essential. Once full, a waiting list will be in operation. To book, please email brockleynordicwalking@gmail.com. More courses are planned for autumn 2019. Dates TBA. This 4-week course is aimed at post-natal mums (and their babies in slings or baby carriers) who want to ease back into fitness. You will learn the safe & effective basic Nordic Walking technique which will turn a walk in a park into a gentle workout for your whole body, and help strengthen & tone the abdominals, legs and arms. Your baby will enjoy the rhythm of walking and the fresh air whilst you have the chance to meet other new local mums and exercise in a safe and effective way. It is advisable to practice carrying your baby in a sling or carrier prior to commencing the course. Please always check with your GP/ Midwife before commencing any new exercise programme. It is recommended that after a natural birth you wait until after your 6 week post natal check by your GP / Midwife. If you had a caesarean it is recommended that you wait until 8 / 10 weeks after birth. Places are limited to 6 to allow for more individual tuition. No equipment required as poles are provided. The course runs at Hilly Fields Park in Lewisham. Course fee £40. More Mum & Baby course dates planned for the New Year 2019 once the weather improves. If your schedule does not allow for course attendance or you prefer to learn at your own pace at a time that suits you, or if it has been a while since you last picked up your poles, why not book in for a 1-2-1 class with Laura? Sessions can be arranged at a park near you on Mondays, Wednesdays and Fridays, as well as weekend afternoons. Session fee £40.00. Email brockleynordicwalking@gmail.com to enquire.